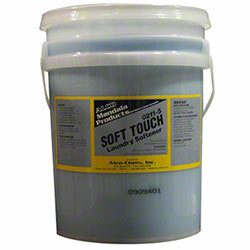 Alco Soft Touch - Alco-Chem, Inc. Combination fabric softener and freshener. Leaves linen soft, reduces static electricity, and helps reduce wrinkling. Contains optical brighteners.